Literally an Easter Egg of Writing! For the love of Carpets! An essay on the importance of perspective in examining originators, copyists, and derivatists. In the 1999 film ‘Dogma’ Salma Hayek plays ‘Serendipity’. Not simply a woman whose name happens to be Serendipity, but rather she plays the physical embodiment of serendipity itself, which is to say she is the ‘chance’ which brings about the occurrence and development of events in a happy or beneficial way. Except of course, there is no chance. While those without divinity perceive their interactions as random, or due to fate, or karma, or what have you, from the perspective of Serendipity, it is her will which causes events to happen as they do; for her the future is not fully unknown nor fully manifest rather its exists as any one of an endless number of permutations based upon her direct actions. In many ways the creation and success of a supposedly new rug or carpet design is a result of serendipity with the artist or designer creating something perceived as new as a result of the careful and equally serendipitous or Serendipitous work of those who have come before. 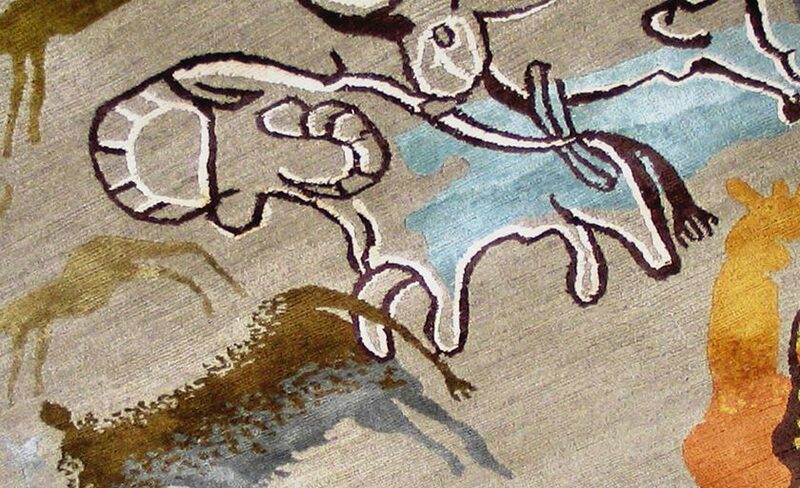 ‘Make Rugs Not War’ | Carpets as Art! The Ruggist is the premier online source for insightful news, commentary, and ephemera on the rug and carpet industry. Written not only for industry, but for Designers, Architects, and Well Informed Consumers, The Ruggist delivers up to the moment critique, opinion, and editorial relevant to today's rug and carpet market. You will receive our monthly 'Dispatch' of recent articles as well as timely up to the moment emails of noteworthy rug and carpet news, commentary, and ephemera. You may unsubscribe at anytime.